Birthday Party Day will be celebrated on Wednesday, December 12. The children will celebrate by making gingerbread houses in the morning and will have cake in the afternoon for snack. Wear Red on Friday, December 7, 2018. CHRISTMAS PROGRAM- Our annual Christmas Program will be held on Thursday, December 13 at 7 p.m. Please have your child in their classrooms by 6:45 p.m. The doors of the center will not open until 6:30 p.m. this will allow our staff time for dinner. At 6:45 p.m. the church will be open for you and your family to take a seat for the performance. 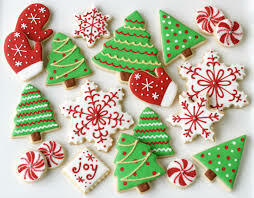 REMEMBER TO BRING A PLATE OF CHRISTMAS COOKIES. PLEASE DROP THE COOKIES OFF AT THE PARISH CENTER. 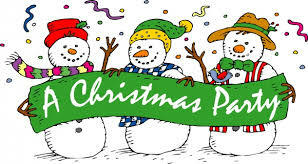 CHRISTMAS PARTY DAY- The children's Christmas Party will be on Friday, December 21, 2018. 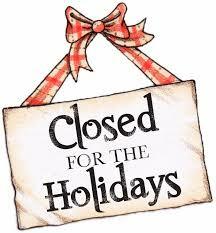 The center will be CLOSED on December 24, 25, 31 and January 1 for Christmas and New Year's. Happy Holiday's!!!!!! December 27- Show n Tell For show n tell day bring a new toy from Christmas. Please send a toy that can be shared. Please keep small pieces at home and no electronics. In case of inclement weather, listen to KMOX radio 1120AM, Channel 2, Channel 4, Channel 5 or Channel 11 TV News or go on line to view the school closings. We will be listed under the preschools. We will try to have the announcement on by 5:30 a.m. if we declare a SNOW SCHEDULE DAY; it will be announced as such and the center will not open until 7:30 a.m. 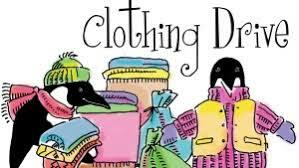 Clothing Drive (FUNDrive) January 2-12, 2019. More information will be sent home. Last month we had new front doors installed and new locks on every classroom door. These doors and locks have been updated due to the increase in crimes against schools. We are working hard to keep your children safe while in our care.